Since last many years TSV practitioners have been feeling the need of a forum where they could share their experiences, learn from other’s mistakes and also get motivated by observing others grow. We understand that after initiation process one starts a journey in a completely unknown territory. One will be confronting many different experiences at times and every experience can become a stepping stone on one’s spiritual growth if know how is available to use it to one’s advantage. Sometimes one feels clueless at such times and it is that where this forum will be helpful. The activities here will be closely monitored to see your progress and guidance from Sacred Association Teachers will be made available to make your journey enjoyable & blissful. Dear Ma, TSV has actually made me a better person and now I feel more composed and balanced in my approach towards life. Sometimes I feel a strong urge of crying while doing Sadhana , why is it so Ma? You are progressing well.. Keep your serving spirits alive. We know you are doing great job in managing Sacred Association day to day affairs. After 1 year of sadhana, at the initial stage I feel full of energy & confidence within me, TSV changes my life priorities, it shows me the path which is actually for me.Balancing of five elements by sadhana not only changes body chemistry but thoughts too.The experience is amazing it can’t express in words, really its beyond and beyond. It is your perseverance and discipline of Sadhana that has paid you so well. TSV Practices have changed my life! I am feeling so focused and confident in life now! Thank you so much for coming in my life! Blessings from Master to you! Keep doing your practices and keep serving the world!! Dear Shakti Ma, I had a wonderful experiences with TSV, I request you to allow me to do Level 2. Do you feel I am prepared. I can understand your eagerness to move forward on your spiritual path. The right time is to be arriving soon. Keep your practices on and soon you will be getting your message from Guru Mandala. Tattvas are real tangible constituents of this universe. 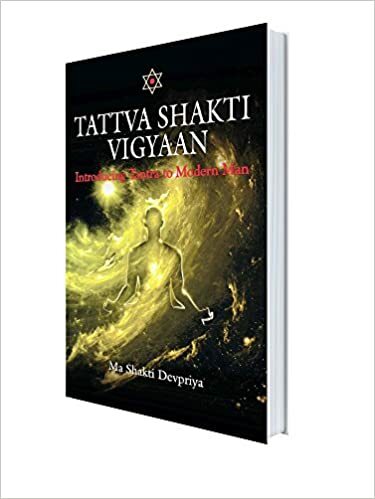 Their powers manifest real quickly through Tattva Shakti Vigyaan. Continue with your practices.